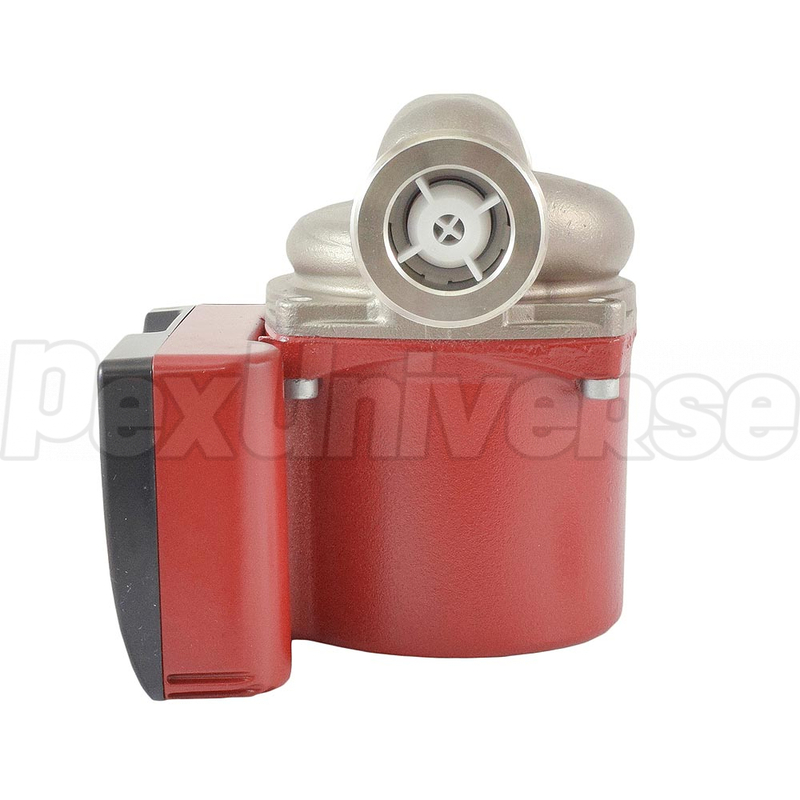 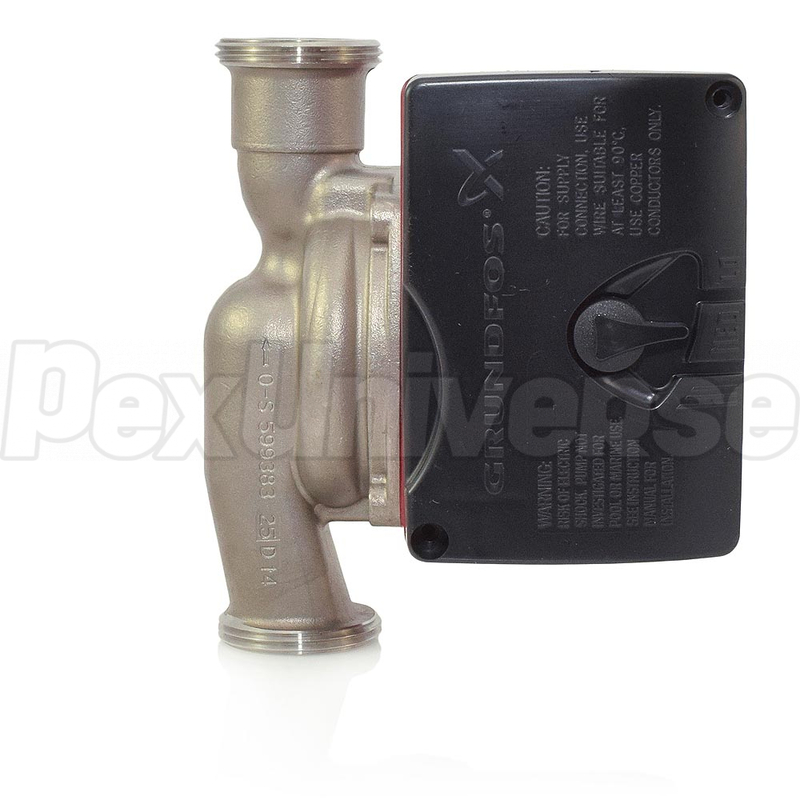 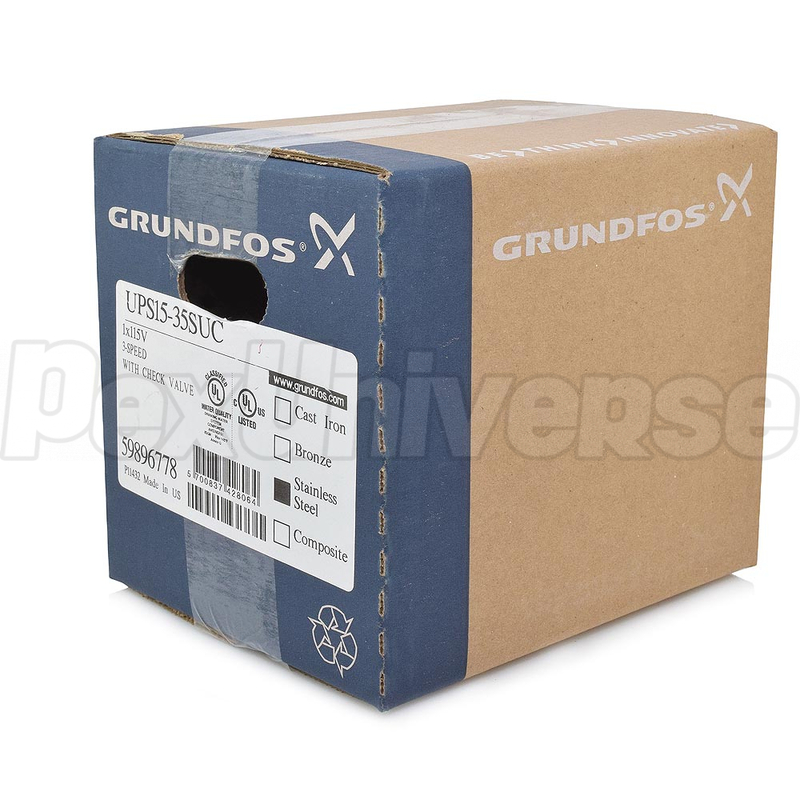 Grundfos UPS15-35SUC pump is a 1/6HP Stainless Steel Circulator Pump (Grundfos SKU# 59896778) with 3 speeds, removable Integral Check Valve and 1-1/4" union connections (GU125). 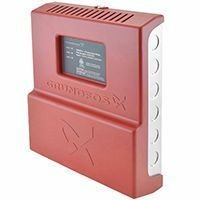 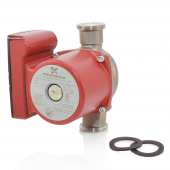 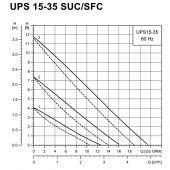 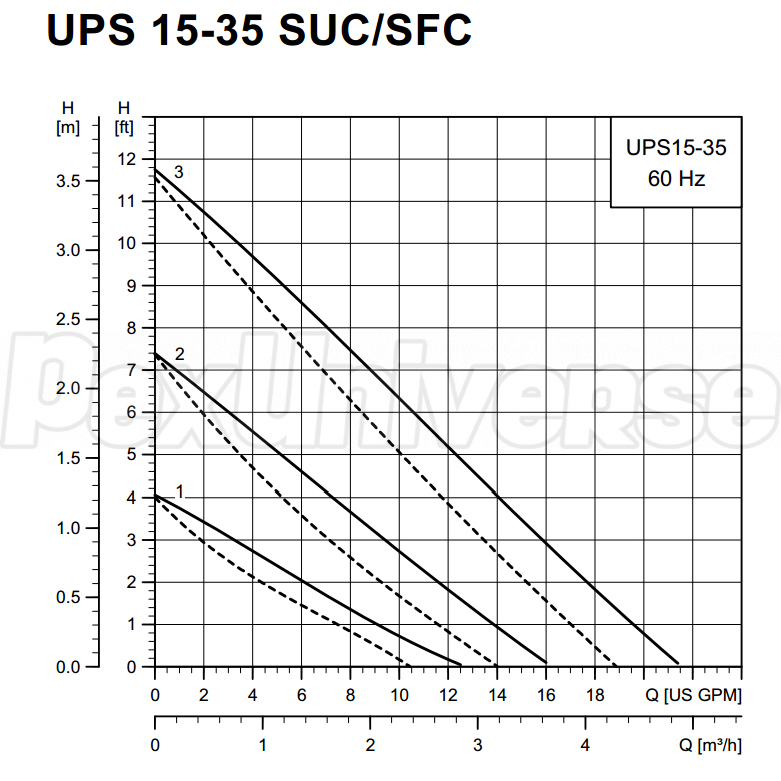 Grundfos UPS15-35SUC circulator model can be easily integrated into the system by adjusting the speed (Low/Med/High) and thus matching the system's requirements. 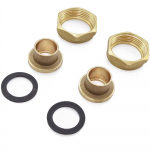 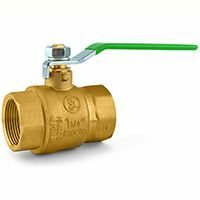 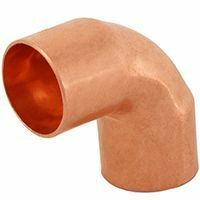 Built-in check valve performs better than traditional in-line check valves and eliminates the need to buy and install a separate one.